Find Unclaimed Money That Belongs to You! Looking for a few extra bucks? 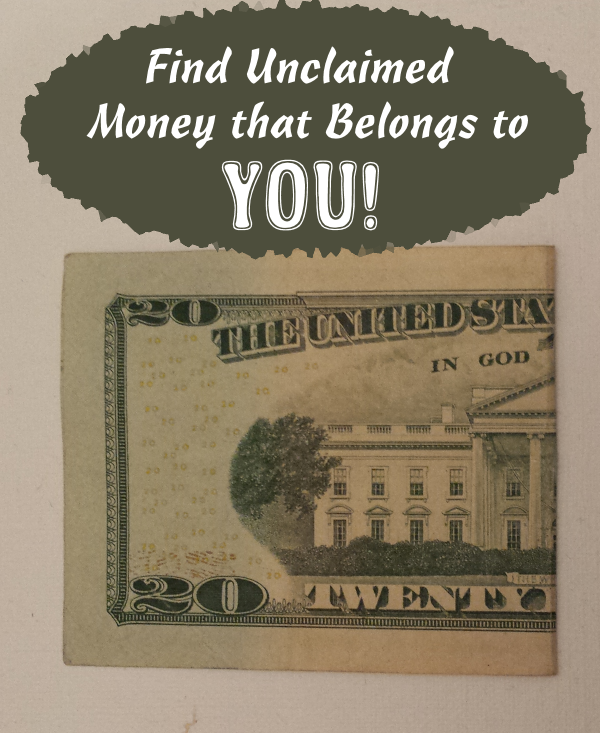 You may need to look no further than the national unclaimed money finder. First, I want to mention that you should NEVER pay anyone to search an unclaimed money database. The national unclaimed money website is free to search, and claiming your cash is free, though you may need to pay someone to Notarize the form for you. Anyone who contacts you by email, postal mail or phone claiming to have access to “secret” or “exclusive” government unclaimed money files is probably running a scam. 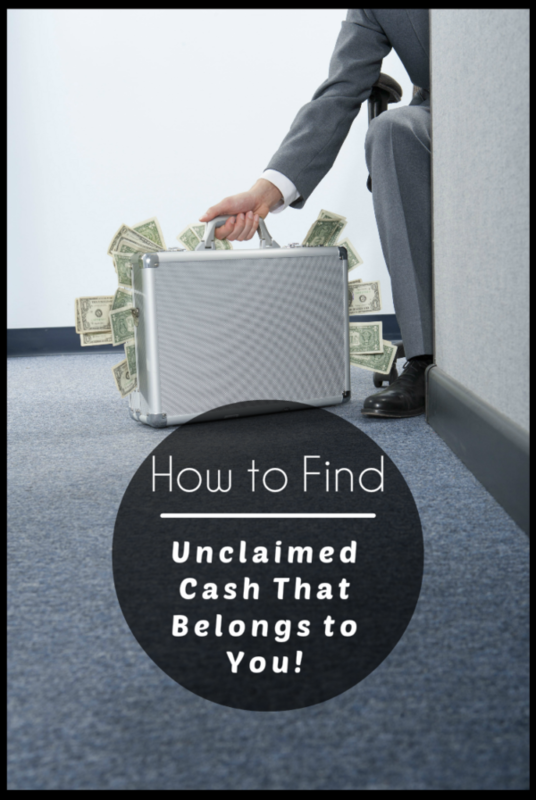 How Do You Know If You Have Unclaimed Money Available? 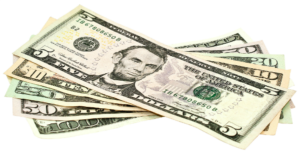 Using the national unclaimed money online database is super easy, and also completely free. Simply click Search by State, and select your state to visit your state’s unclaimed money website. Then, look through the list of people with your name and select someone with your name located an address where you used to live. You will want to check this list under every name you’ve ever used (including maiden names and former married names, if applicable), and check every year or so. I just checked it a few months ago, and now there is something else on there, from an address where I lived in the mid-1990s. You may not even remember why you have the unclaimed money coming, and it sometimes doesn’t say what it’s for. Both times I’ve checked for my sister under her maiden name, several years apart, I found over $100 in unclaimed money for her that she had no idea existed. You will be asked to verify that you are this person and can claim the money. You may then be directed to your state’s unclaimed money office to complete and download the required paperwork. You may be required to have the form Notarized and will likely need to provide verification of your Social Security number and your previous address or addresses. Old copies of tax returns can likely serve both purposes, or you can make copies of your Social Security card and credit report. 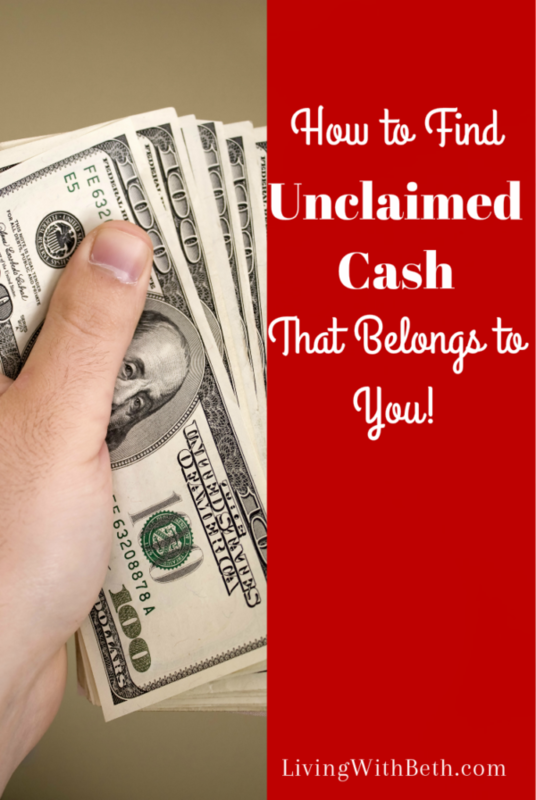 Why Would You Have Unclaimed Money Owed to You? If a company owes you money and can’t find you, most states require that they turn over the money to a special state agency for safekeeping. Even if you think you are very careful about making sure you account for every penny of money that could be owed to you, you should still check this database periodically. My sister and I certainly fall into this category, but we still found unclaimed money. You’re most likely to find something if you’ve had multiple addresses. I’ve had only three addresses in the past 20 years and lived at the same place for over a decade, so these unclaimed money items can go back quite a few years. You can even search for deceased family members for whom you would be authorized to collect unclaimed funds. Where Did This Unclaimed Money Come From? Security deposit refunds, such as those for utilities. Product rebate checks which arrived after you’d moved. Class action lawsuit settlements, even if you didn’t realize you were party to the suit. Insurance payments, possibly resulting from an old mutual-type insurance policy. Stock you owned in companies that may have gone out of business or were sold. Financial accounts you forgot about when you moved. Uncashed checks which you misplaced or never received. Funds owed by previous employers, such as unpaid wages, vacation time, retirement benefits and so forth. 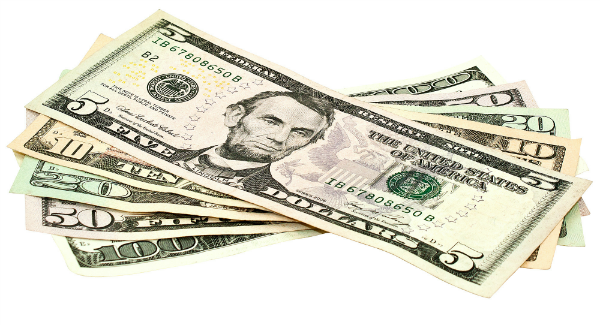 Not all states list their unclaimed money on this website, but many do. Also, some states don’t list small dollar amounts online. You can find links to all states that list unclaimed property online at this link. You also need to be able to prove that you are the rightful owner of the unclaimed money, as mentioned above. States vary in how quickly they process such claims. You could receive a check within a few days or a few months. But, hey, it’s found money, any way you slice it.